Goa is one of the most popular tourist destinations in India. It is ranked first in India for its excellent quality of life. 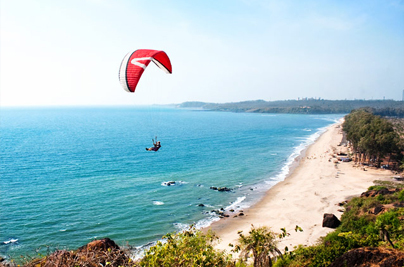 In popular culture, Goa is especially known for its golden and white sand beaches and its extravagant party scene. The winters are the best time to visit Goa but it is also when Goa is the most crowded. Goa's beaches are the only ones of their kind in India. They are incredibly clean and their popularity with Western tourists has won them excellent touristic facilities. But while the beaches are an essential part of Goa’s identity, they are not the only places worthy of interest. 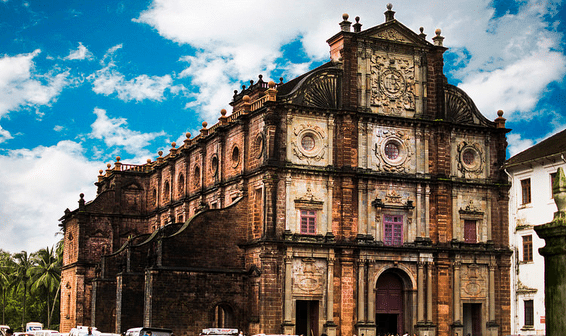 The Konkani State is rich in biodiversity and is also popular for its religious landmarks. So read on, and plan to surprise yourself with a true Goan experience this time around. Check out these best places to visit in Goa and things to do that won’t let you miss out on any of the Goan “fun”. Baga Beach: Baga Beach is the most famous of all Goan beaches and as a tourist visiting Goa you really haven’t been to Goa if you haven’t been to Baga. Full to the brim with activities you can indulge in, Baga Beach and its surrounding areas will not give you time to get bored. Night is the time when the beach virtually comes alive. Lots of great party options make Baga Beach an amazing beach to party the night away. Tito’s, Café Mambo, Kandy Club and many more clubs make Baga beach a party haven every night. 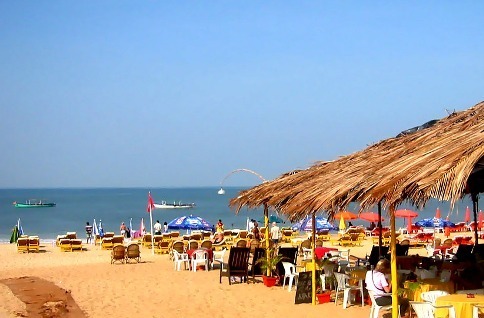 Calangute Beach: The largest beach in Goa, Calangute Beach is also affectionately known as the “Queen of Beaches”. It is among the top ten beaches in the world, which means it is one of the tourist places in Goa that you should not miss. It is a big, serene beach with activities enough to fill your mind for the entirety of your trip. It is also the busiest and commercialised beaches in Goa and during peak seasons, this beach is swamped with people from all over the world. Palolem Beach: Palolem is one of Goa’s most beautiful beaches, or at least used to be till it got overrun by commercialization in the form of huts and hawkers. Nonetheless, its peaceful waters bordered by headlands are still very attractive. It is a popular tourist attraction of South Goa. The location makes its sea calmer than others and you can walk almost 100m into the sea with ease. 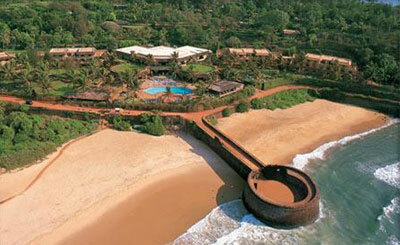 Fort Aguada: A well-preserved 17 century Portuguese fort, Fort Aguada is located on the Sinquerim Beach in North Goa. Built as the chief defence of Portuguese against the Dutch and Marathas, it was the most prized and crucial fort of the Portuguese. Some buildings of the fort are still in good shape having been converted into a jail and interestingly, it happens to be the largest jail in Goa. Chapora Fort: Popular as the place where the Bollywood flick “Dil Chahta Hai” was picturised, the Chapora fort stands at the mouth of the Chapora river as an old guard. 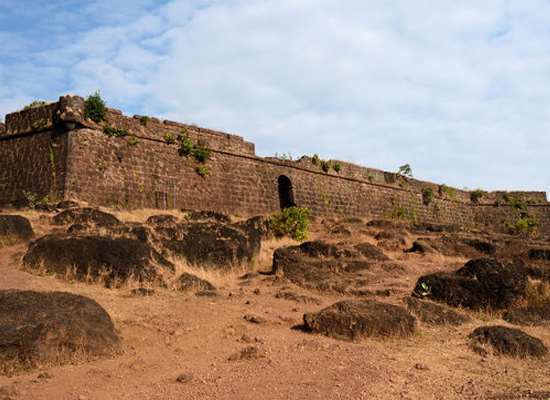 Today this laterite fort is almost in ruins but does offer some sensational views of the coastline from the top of the fort. That itself is reason enough for any photo enthusiasts. 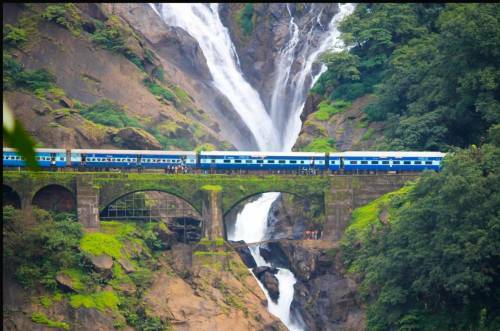 Dudhsagar Falls: Literally meaning a sea of milk, Dudhsagar Falls is a 4 tiered waterfall located and the 4th tallest waterfall of India. Located at a distance of 46km from Madgaon, the falls appear spectacular during monsoons after been fed by the rains. There is a railway bridge which passes right in front of the waterfall and passenger train passing through the fall tend to always slow down for passengers to view the fall up close. Unfortunately, there is no viewing platform or site for tourists to take in the full view of the enormous waterfall. Bom Jesus Basilica: One of the most important of all tourist places in Goa as well as a central landmark for Catholics, the Bom Jesus Basilica is the place in which the incorrupt body of St Francis Xavier is kept. The Church was built in 1605 and the body of the Saint was brought to it in 1622 where it has laid since in its glass mausoleum. The body is perhaps the greatest attraction of the Basilica. A gallery of Modern Art is also a part of the Basilica. Casino Cruise: This is a little out of the way thing you can indulge in when in Goa. The view outside and the rooms inside both make for a great set-up. The casinos are open all round the clock but they really come to life in the night from 9 pm to 3 am. 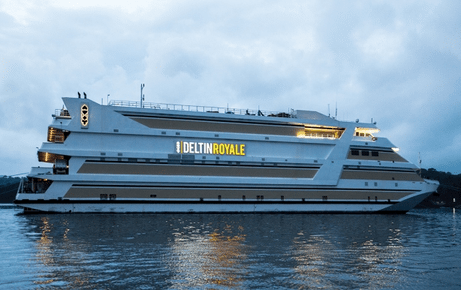 There are many Casino Cruises in Goa like Deltin Royale Casino, Casino Pride, Casino Royale, Casino Carnival etc. 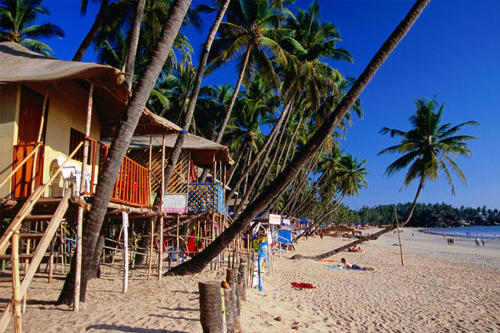 Colva Beach: The most popular beach in South Goa, Colva Beach is a tourist must-visit. The beach has a really lovely stretch of white sand which extends for nearly 25km. 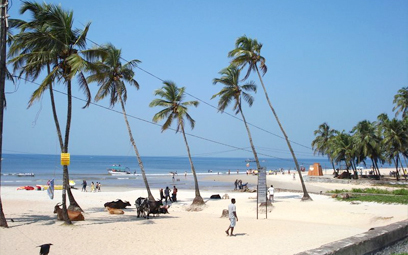 The sand and the beautiful glimmering sea are Colva Beach’s most famous attractions. Soft winds that blow salt sprays into your face are an added bonus. The ambience of the beach is perfect, being just the right balance between commercial and quiet. Grand Island: Grand Island is the nirvana of Goan water-sports. There is a lot to be experienced here from diving to snorkelling to fishing. 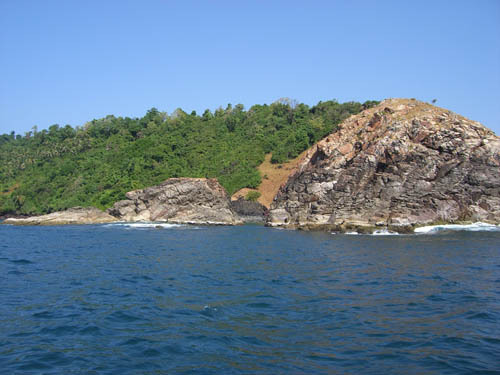 Scuba diving is the most popular activity in Goa because it offers so much in terms of underwater exploration. Goa offers a lot more for peoples who like Beaches, Party, Clubs, Water Sports, Casino etc. We hope you will get some better idea with help of the details provided here. Enjoy your vacation, do write comments below about this post. And share your feedback and suggestions here.